Pared-down formal simplicity given by a straightforward formal juxtaposition is the distinctive feature of this elegant and refined collection of modular sofas and tables in various sizes which have been created to brilliantly stride the usual boundaries between indoors and outdoors. 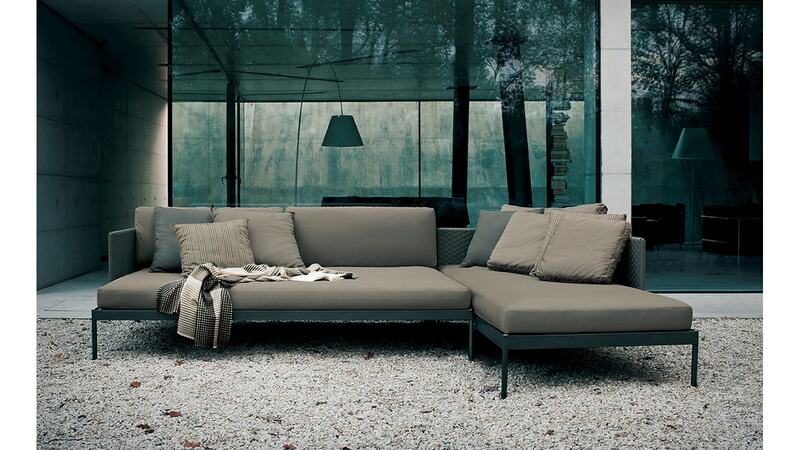 The sturdy metal structure available in the “smoke” or “milk” colour ways, and the top made in HPL grey or stone, is a perfect combination with Basket sofa modules. Available in two sizes:90×90 cm and 135×90 cm. Click here for 351 coffee table product specifications. Click here for 355 coffee table product specifications.